Nikhef is part of a collaboration of five countries to detect gravitational waves using the Virgo detector in Italy. These waves, ripples moving in space-time were detected for the first time in 2015. They reveal completely new information about the Universe. What are gravitational waves and how can they be detected? Isaac Newton introduced the concept of gravity: objects with mass attract each other. Since Albert Einstein’s General Theory of Relativity (GTR) it is clear that gravity shouldn’t be considered a force but a deformation of space-time because of the presence of mass. In many cases the difference is a subtle one, but there also situation where the GTR predicts something that would have been impossible in Newton’s world. For example, an asymmetric, rotating mass can generate a ripple in space-time, which propagates: a gravitational wave. Although countless objects emit tiny waves, they are most often too small to be measured. Some objects in the Universe, like black holes and neutron stars, do cause measurable gravitational waves by means of high-speed movements. How can gravitational waves be detected? Although gravitational waves have been predicted by Einstein as early as in 1916, the technology to observe them has only recently become available. The most important detectors are Virgo (Italy) and LIGO (two detectors in the United States). They work according to the principle of a Michelson interferometer, as explained in the figure below. When a gravitational wave arrives at the detector, the lengths of the detector’s arms change by a fraction of the radius of a proton. This can be compared to the thickness of a hair compared to the distance of the nearest star in the vicinity of Sun, Alpha Centauri A. This tiny change in length causes a small change in the interference pattern registered by the detector. On 14 September 2015 alarms sounded at the two LIGO detectors in the US. After an extensive analysis and a thorough check by the LIGO/Virgo collaboration it became clear that a gravitational wave had been observed for the first time ever. The wave was generated by the merger of a binary black hole. Shortly after, a second gravitational wave was detected, originating from a similar merger of two (smaller) black holes. During this merger, which took place about 1.4 billion years ago, an amount of energy roughly equal to the mass of the sun was converted into gravitational waves. The detected signal originated from the final 27 revolutions of the black holes prior to their merger into a single black hole. With these two observations, gravitational-wave astronomy has made a promising start. Who knows what more scientists will learn about the Universe by carefully ‘listening’? Virgo is an interferometer near Pisa (Italy), which can detect gravitational waves. It is part of an international network of similar detectors that closely collaborate. Physicists are building a worldwide network of gravitational-wave detectors. In the USA there are two LIGO detectors, in Germany GEO600 and in Italy the Virgo detector, constructed by scientists from France, Italy, The Netherlands, Poland and Hungary. In Japan, work is currently ongoing on KAGRA, an underground detector using cooled mirrors. Furthermore, there are plans to build a further detector in India. By means of a network of detectors scattered around the world is it possible to localize the signals’ sources. The more detectors and the better the spread, the higher the precision with which the origin in the sky can be determined. In addition, multiple detectors are able to record even weaker signals. Over the past years, Virgo and the LIGO detectors in the United States have already jointly ‘listened’ for gravitational waves. The knowledge acquired in this way has been used to execute an extensive programme of improvements. The first thereof have been finalized in September 2015, after which the first measurements started. Virgo has been thoroughly updated and improved, as well. Advanced Virgo (see figure below) has three main improvements with respect to the original Virgo: The distances of which the relative length difference is being measured, are increased by inserting an additional mirror into the arm (IM), which reflects the light roughly 450 times back and forth. The second difference is the Power Recycling Mirror (PRM), which makes sure that more light remains inside the detector, supressing the noise. The third difference is the Signal Recycling Mirror (SRM), which changes the time during which the light remains inside the detector, and hence the sensitivity to different wave lengths. What is Virgo looking for? Until recently, astronomers could only study the Universe by observing electromagnetic radiation, such as light and X-rays, or particles, such as neutrinos. However, there are also parts of the Universe from where radiation and particles fail to reach us, such as black holes. Recently it has become clear that the ripples of space itself can also be studied, using gravitational waves. In this way, systems and events can be studied that don’t emit particles of radiation, such as black holes, or where the light is blocked, for example by intermediary dust and nebulas. Gravitational waves aren’t bothered by intermediary matter and from the deepest darkness can directly reach the detectors. For the first time in the history of mankind, these signals allow to ‘listen’ to the Universe, in addition to watching it. By carefully listening to, for example, a supernova or two neutron stars colliding with each other, information can be retrieved about the structure of matter in states that can’t be simulated in any lab. From the signal of a collision between two black holes a detailed picture emerges of the fundamental structure of space. The history of astronomy has shown that each new way to study the Universe results in discoveries no one had expected. The new field of gravitational-wave astronomy will provide a better understanding of the physics that was previously out of reach, and, who knows, reveal exotic astronomical events beyond the imagination of scientists. In the meanwhile, two gravitational waves have already been observed, in September and December 2015. Both cases concerned a clear signal of the merger of a compact binary system. This is a system in which two compact objects in space, such as neutron stars or black holes, revolve around each other. This causes them to lose energy in the form of gravitational waves. As a result, they spiral ever closer to each other, until they ultimately merge into a single black hole. The compact system are the ideal laboratories to study the structure of neutron stars and the General Theory of Relativity (GTR) by Albert Einstein. This is because of the fact that, due to the properties of black holes, a compact binary system is fully described by the GTR, without disturbance by matter-related effects. The GTR was invented by Einstein as early as in 1916. It has been confirmed in many ways by means of observations, yet all these observations have been in situations where the GTR predicts just a small deviation with respect to classical physics, at relatively low speeds. Now, the observations of the mergers of two black holes have confirmed for the first time that the predictions are correct even at speeds close to the speed of light. To this end, a method has been used that was developed at Nikhef (see text box below). This method allows researchers to directly relate the behaviour of space-time to possible deviations from the ART. From the first measurements, upper limits of such deviations have been determined that are much smaller than could be achieved until now by observing electromagnetic radiation. In the meanwhile, Nikhef is working hard to develop techniques for a next-generation gravitational-wave detector; the Einstein Telescope. To realize this telescope, eight research institutes, including Nikhef, have joined forces. The new detector should attain a sensitivity ten times better than that of the current LIGO and Virgo detectors. To keep the measurements from being disturbed by vibrations as much as possible it is necessary to build the Einstein Telescope deep underground somewhere where there’s little seismic activity. One of the locations that would be very suitable is in the south of Limburg (The Netherlands). The international collaboration would like to build the Einstein Telescope here and has submitted a proposal to this end. – Cryogenic vacuum links: equipment assisting in reaching ultra-high vacuum in the tubes, by means of freezing out the remaining water vapour. – Phase cameras: instruments precisely tracking the laser light in order to measure and compensate for deformations in the mirrors. – Seismic reduction systems: systems isolating the optical parts of Advanced Virgo from motion of the Earth’s surface. Using inverted pendulums (IPs), geometric antisprings (GAS) and an active feedback system fitted with sensitive sensors, the Earth’s vibrations are strongly damped even at very low frequencies. – Seismic sensors: sensors to measure any remaining seismic noise. It is expected that these sensors can also be applied for seismic reconnaissance and earthquake monitoring in the oil and gas industry. 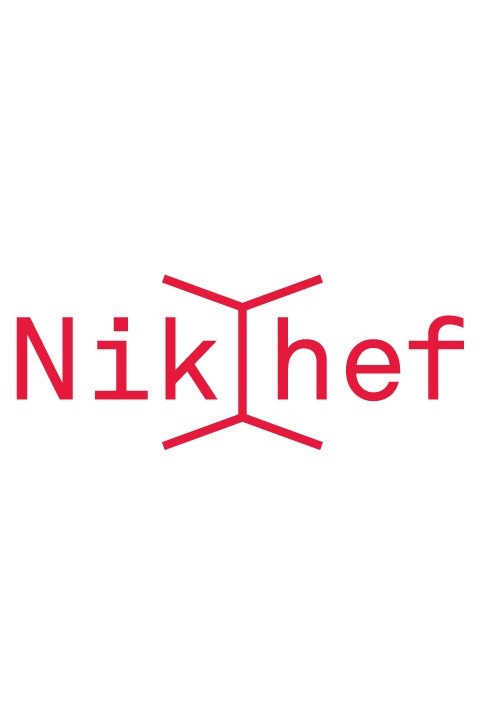 Nikhef also works on compact micro-electromechanical (MEMS) sensors, which are able to measure vibrations at low frequencies with great accuracy, and which can be produced in large numbers. – Linear alignment: the alignment of the mirrors in Advanced Virgo is constantly monitored using quadrant photodiodes on optical tables. The electronics that enable the read-out of these diodes at high frequencies was designed and fabricated at Nikhef. In addition, Nikhef developed methods of analysis to test Einstein’s General Theory of Relativity against the detected gravitational waves. The signals of the merging black holes that were detected in 2015 form the ideal laboratory for these analysis techniques. In case of new observations, the methods will be used to test the GTR further. Nikhef is also developing a technique to detect yet-unknown revolving neutron stars with a companion star. Compact binary systems, such as neutron stars or black holes, are the ideal laboratories to study the structure of neutron stars and to test Albert Einstein’s General Theory of Relativity (GTR). How does this work? Imagine a radio transmitting a signal that perfectly complies with the GTR. The radio has 7 knobs, each deforming the signal to deviate from the GTR. If all knobs are set to zero, the signal complies with the GTR. The more a knob is turned up, the more the signal changes. The higher the knob’s number, the weaker this deforming power. To test the GTR, scientists try to turn the knobs to make the theoretical signal correspond as much possible with the detected signal. In principle this means that whenever a knob is set to anything but zero, it can be concluded that the reality deviates from the theory invented by Einstein. However, in practice a measurement by a detector is also affected by noise, so that it could be misconstrued as deviating from the GTR: the knobs will not be set to zero when it is attempted to attune the theoretical to the measured signal including noise. The graph below shows to what extent the gravitational waves allow scientists to test the GTR in more detail than ever. The ticks on the horizontal axis (“PN order”: parameters in the structure of the waveform of the signal) can be compared to the 7 radio knobs. The numbers on the vertical axis can be compared to the maximum deviation from zero of the knob settings at which the theoretical signal still corresponds to the measured signal. The blue triangles represent the situation based on measurements by electromagnetic radiation detectors; the red squares by gravitational-wave detectors. It is clear that for almost all knobs the potential deviations from the GTR can now be limited to within much smaller margins than was ever possible before. This research programme is a prime example of fundamental scientific research, aimed at gathering basic knowledge about everything around us. At the heart of this type of research is curiosity about what our Universe is made of and how it came to be. There’s much that we know already, for example that all visible matter is built up from atoms, yet many questions remain unanswered. Fundamental research is not aimed at realizing applications in the short term. Still, one thing is for sure: no one can predict which ground-breaking applications will eventually emerge from this research. History shows that today’s fundamental knowledge forms the breeding ground for tomorrow’s discoveries. Nikhef-persbericht. Amsterdam, 5 augustus 2011 Deze zomer werken twee Europese observatoria samen om het zwaartekrachtgolfonderzoek een impuls te geven.